I hardly dare go on another of my extended jaunts. In 2007 while I was away Sir Malcolm Arnold passed on, and last year it was Esbjörn Svensson. This year while I was travelling we lost the two remarkable ladies of music seen in these photos. * Now playing - The Great Mandala, yes I know that Peter, Paul and Mary are about as unfashionable as you can get, but this is one of the great antiwar songs of the era. Composer Peter Yarrow's explanation that the song 'says our lives present us with a choice, in this case, the choice was to either serve in a war that ran counter to basic American principles, or to take the consequences of refusing to do so; for young men called to service, it was the preeminent ethical dilemna of our time' is a stark reminder that relevance never becomes unfashionable. Peter, Paul and Mary were pretty unfashionable even then, their style being so old-time folk-singer, but I had the good fortune to see them perform live once in California around that time and the three of them were some of the most accomplished performers I've ever seen. They took a huge "outdoor bowl" audience into their hands and made it feel like an intimate occasion. 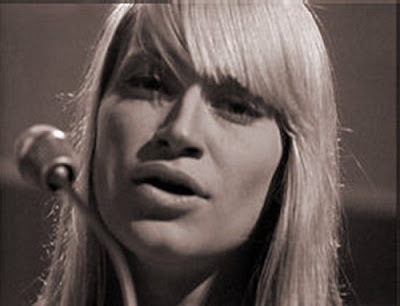 On September 16th Mary Travers, one of that old-time folk trio, died aged 72 after a long illness. Thank you Mary for your music making. It will always remind us that relevance must never become unfashionable. Antal Doráti's reputation was justifiably built on his conducting. Just one example is his recording of Stravinsky's complete Firebird ballet which was made for Mercury in Watford Town Hall in 1959. It is one of the major achievements in the history of recorded music and was made on Ampex 350 series three channel ½ inch recorders using valve (tube) recording electronics. Listening to it again does raise the question as to what real benefits do digital recording and jet-setting maestros bring us today? The producer of that recording, and many other classic discs, was Wilma Cozart Fine, seen below, who died, aged 82, on Sept. 21. 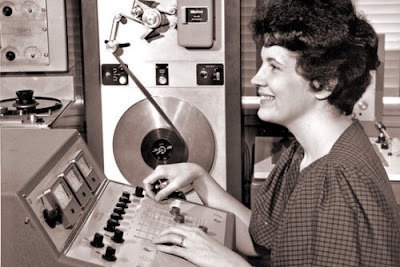 Thank you Ms. Fine for your legacy of recordings; they will always remind us that great sound, irrespective of age or technology, must never become unfashionable. Another classic Wilma Cozart Fine recording here. "relevance must never become unfashionable,"..nice.. The solution is simple : stop going on holiday.